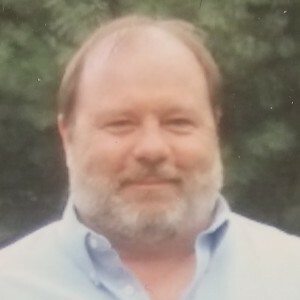 Gary D. Pennington, age 68 of West Grove, PA passed away on April 6th 2019. He was the husband of the late Joan Pennington, with whom he shared 36 years of marriage. Born in West Grove, PA he was the son of Ephraim R. and Mattie Osborne Pennington. Gary is survived by two daughters, Anna Bowker and her husband Jeff of West Chester, PA and Laura Pennington and her fiancé Sam Beecher of Philadelphia, PA; three brothers, Ephraim R. Pennington and wife Annette of Oxford, PA, Curtis Pennington and wife Sandy of Downingtown, PA, Paul Pennington and wife Paula of West Grove, PA; two sisters Jannett Pennington Caldwell and husband David of Avondale, PA, Regina Pennington of West Chester, PA; one sister-in-law Carol Sheets and husband Jerry of Cape May Court House, NJ as well as many nieces, nephews, great-nieces and great-nephews. Gary was a loving husband and father who took great pride in his daughters. He was an avid painter and skilled craftsman. He enjoyed travel, art, driving through the country, cooking, classic diners, and spending time with friends and family. Gary was a 1969 graduate of Kennett High School. He worked at Pannell Manufacturing, Longwood Manufacturing and Spitz, Inc. as Superintendent. You are invited to visit with Gary’s family and friends from 9:00 to 11:00 am on Tuesday, April 16, 2019 at the Kuzo Funeral Home Inc. (610-444-4116) 250 W. State Street, Kennett Square, PA 19348. A service celebrating Gary’s life will immediately follow at 11 am. Interment will immediately follow at Longwood Cemetery. In memory of Gary, a contribution may be made to the American Cancer Society, 92 Reads Way # 205, New Castle, DE 19720. April 16, 2019 11AM Kuzo Funeral Home, Inc.
April 16, 2019 9-11AM Kuzo Funeral Home, Inc.
Our condolences to the Family. We knew Gary a little, and he was always very nice. So very sorry to hear of Gary’s passing. I had planned to come to the calling hours today but something came up and I wasn’t able to make it. I am sure all of you have wonderful memories to hold near and dear to your heart to help you get through this sad time. My sincere condolences to all of you. May he rest in peace. I am so very sorry to hear of your loss. I still think of Joan so very much and I know it was so hard for all of you to have another loss. Gary was kind, quiet and a wonderful Father and Husband. I Pray that you lean on each other for support just one day at a time. I have recently started a new job in April and I will not be able to attend the service but I will Pray that God comforts you at this time in your lives. I worked with Joan at Wyeth and came back into her life and have those memories to keep forever. God Bless. Gary is back with Joan. Rip to a great classmate. RIP Gary I am glad I got to know you.